Here is a simple little dish that was inspired by an evening spent enjoying the delights of Norwegian food cooked by Signe Johansen. 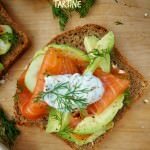 My smorbrod (Scandinavian style open sandwich) or Tartine (French open sandwich)) as I like to call it, is something that hardly qualifies as a recipe but is more a collection of Scandi flavours piled onto a spelt, rye and oat loaf. We created our own versions of this simple starter once Signe had introduced us all to the delights of what Norway has to offer in terms of its food culture. The event was organised by The Norwergian Seafood Council and held at Aveqia, so naturally the menu leaned towards fish. Most importantly salmon. Take a look at the menu below to see what Signe created for us to enjoy with the help of Poppy. Highlights of the menu for me were many, and no it really did not matter to me that we feasted on smoked salmon and then baked salmon. I would eat both again gladly when they are cooked and prepared as well as they were, much in the same way I would enjoy beef carpaccio followed by steak frites. If there was one standout dish of the evening, it would have to be the Fyrstekake. Buttery rich pastry, cardamom spiced sticky centre (frangipane-like) and crunchy almonds complimented perfectly by the cherry glogg. Forget mulled wine, I am now serving this as my festive drink of choice. 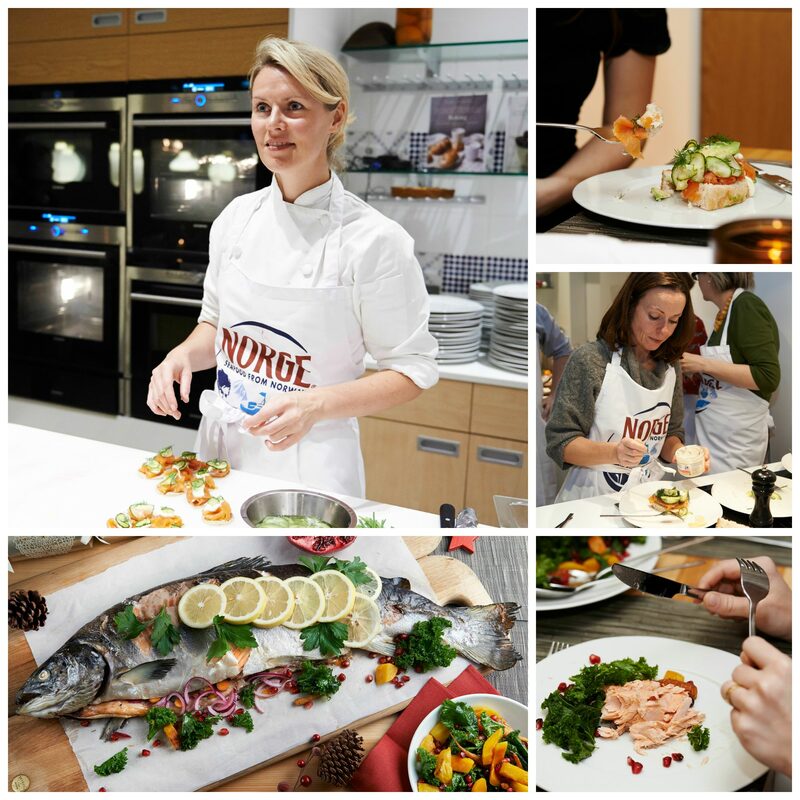 Norwegian Seafood Event with Signe Johansen. Pictures courtesy of The Norwegian Seafood Council. Norwegian food is not something I had ever tried before nor Scandinavian food in general – I have always had an obsession with the flavours of Asia. The impression I get is one of freshness, simplicity and a love of spices, fruits, cured fish and meats as well as dairy. Signe told us about her love of butter, lots of it and creme friache especially from Normandy. I am assuming cheese is also a favourite even though it did not feature as part of our meal and not forgetting good breads of course. The bread I used for my tartine was a recipe I found in Signe’s book “Scandilicious” for an oatmeal loaf. I added a combination of rye, spelt and regular white bread flour along with jumbo porridge oats soaked in water. It made for a wonderfully textured loaf perfectly suited to being topped with a range of Scandi inspired ingredients. Toppings are a matter of personal preference but if you love fresh light flavours why not try this recipe out? Lunch will feel all the more decadent for it. Helen at Fuss Free Flavours created these wonderful salmon ceviche & cranberry canapés having been inspired by the evening’s cooking. You can read her recipe HERE. With thanks to The Norwegian Seafood Council for inviting me to share this event. All opinions expressed here are my own. A simple yet delicious dish suitable for lunch or as a starter, especially at Christmas. Top with a selection of the above ingredients and serve immediately. The bread recipe I used was from Signe Johansen's "Scandilicious" cook book which also features a recipe for pickled cucumber. I am a huge fan of open sandwiches, mostly because I so often find that the ratio of bread to filling is too high in a normal sandwich. Of course, one could add more filling but then it’s not easy to get one’s gob around the thing and eat it as intended. So an open sandwich with knife and fork suits me very well. Love the look of this one! Couldn’t agree more Kavey, let’s eat more open sandwiches. So civilised and makes the whole sandwich experience more of a meal than a snack! Smoked salmon and avocado is one of my favourite combinations. I usually have it on toast for breakfast on a Sunday. 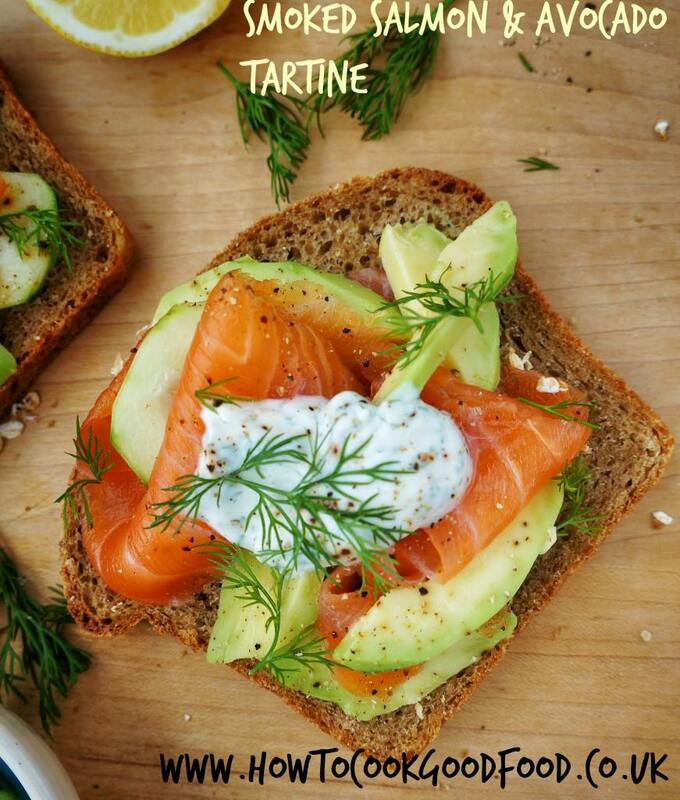 There is nothing better than salmon and avocado together, you are right to make the most of it on `a leisurely Sunday Danii! Such a lovely event! I love open sandwiches, they are a big thing in Poland, too, and especially good with smoked salmon and dill. The avocado is a great addition, too. Open sandwiches can look so pretty – yours definitely does! 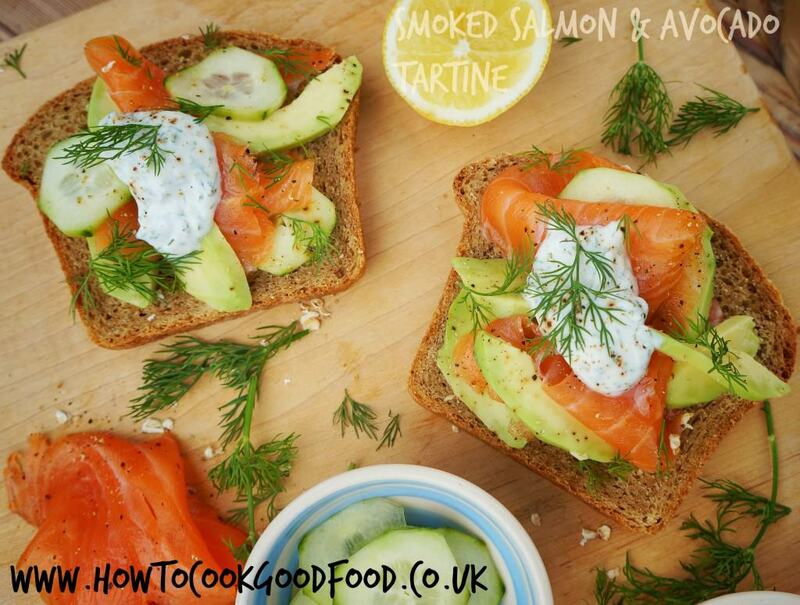 That looks delicious, some of my favourite things – salmon, avocado and dill – perfect. Like the sound of the cherry glogg too…! Thanks Anna, cherry glogg will be replacing mulled wine this year. I love Scandi flavours now too! Absolutely Jeanne, Signe’s oat bread recipe is brilliant. Was great to meet you too! What an interesting evening! I love salmon and it is indeed a perfect Christmas dish!! (I much prefer it to turkey!). I love the photo of the whole salmon!